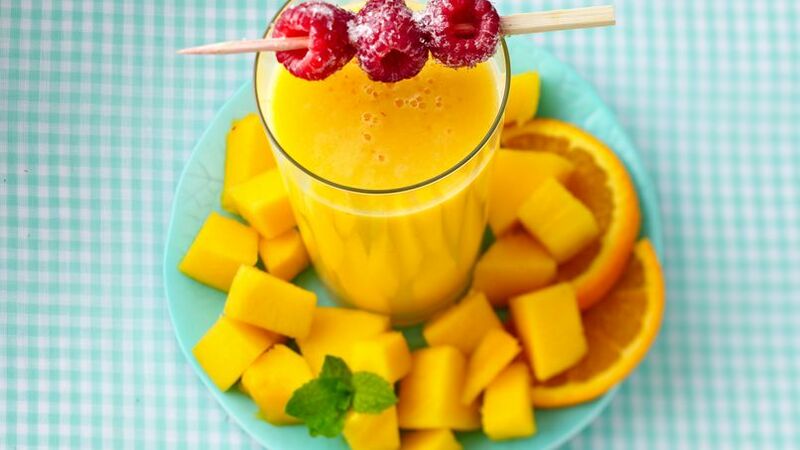 In blender, place yogurt, 1/2 cup cubed mango and orange juice. Cover; blend on medium speed about 2 minutes or until smooth. Pour into glass. Garnish with mango and orange slices and fresh mint. Serve immediately. Enjoy this refreshing smoothie made with Yoplait® mango yogurt and orange – a wonderful drink that’s ready in just 10 minutes.